Tourism is a growing industry in Pakistan. The cultural and physical diversity of Pakistan has developed the country into a tourist hot spot for foreign travelers, adventurers and foreign investment and funding. 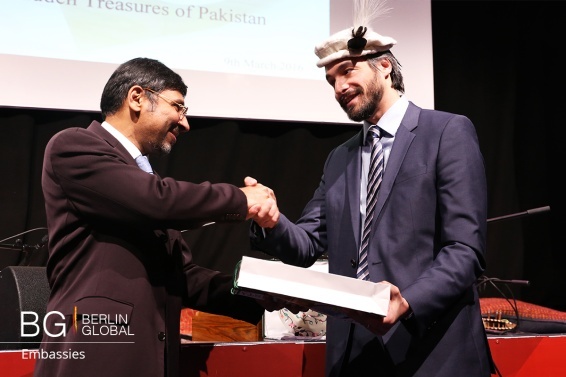 Tourism, economic investment opportunities and the cultural heritage of Pakistan were presented by His Excellency Mr. Jauhar Saleem, Ambassador of the Islamic Republic of Pakistan to Germany, The Hon. Chief Secretary of the Gilgit-Balistan Province, Tahir Hussain and The Hon. Chief Minister of the Gilgit-Balistan Province, Hafeez-Ur-Rehman. Pakistan, with its diverse cultures, people and landscapes is a junction of South, West and Central Asia and one of the so called emerging economies of the world. Pakistan is home to around 1000 multinational businesses. It has growing financial markets, attractive investment policies, a trained workforce and is located in an important geo-strategic location. As the Ambassador commented “in terms of investment opportunities, Pakistan is one of those regions of the world, which are the most dynamic in terms of economy’’. With regards to investment opportunities, the Ambassador, who was appointed as Pakistan's Ambassador to Germany in October 2015 and took charge in January 2016, detailed coal power projects and oil and gas explorations. He also mentioned that, “China has recently announced a 46 billion dollar program for investment in Pakistan, that includes over 25 billion dollars of investments in the field of energy and the rest for infrastructure development. China has a vision of linking all the countries which used to be part of the ancient Silk Road’’. In terms of it’s environment, Pakistan is also unique, with some of the highest peaks in the world found there, the longest glacier outside the polar region and the region can boast heritage tourism with 24 UNESCO sites. The nation branding of Pakistan also places great emphasis on it’s architecture, spiritualism and the opportunities for sport tourism as well. 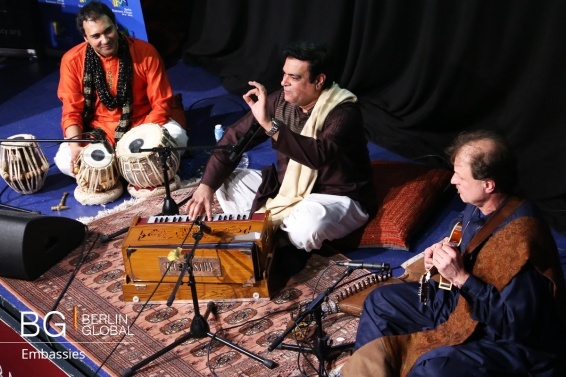 The presentation was continued with a performance from Pakistani musicians who presented their traditional instruments and their music, they also played with a German musician who played one of the most traditional Pakistani instruments to highlight the level of cooperation and friendship. The Pakistani delegation also brought special gifts including traditional hats and some books for the ICD library. They presented the gifts to Mr Mark Donfried who received them very gratefully and said the books would be of great interest to the students at the Academy. Mr Donfried was very honored to be given a traditional hat which he wore to take some photos with the Ambassador. The evening concluded with a reception of Pakistani cuisine which was kindly offered by the Pakistan Embassy in Berlin. Their cuisine is known for its richness and it varies from region to region, and it reflects the country's ethnic, cultural and culinary diversity.